Should I represent myself and get a public defender? Should I Speak To Law Enforcement? When Are You Arrested With A Warrant? When Are You Arrested Without A Warrant? What Are Your Rights After You Are Arrested? What Rights Do You Have When Questioned By The Police? Trying to represent yourself could be a costly mistake. An experienced State Prosecutor is assigned to your case tasked with the professional objective to seek justice in conjunction with appropriate punishment. Many first time offenders wrongly assume that the prosecutor will agree to a reduction of the charge or request a lenient sentence from the court, only to be greatly surprised when the State seeks a conviction, probation, or even jail time. The perils of speaking on your own behalf in court are well illustrated by the old axiom that “a man who represents himself has a fool for a client.” Even skilled and experienced attorneys who find themselves accused of a crime will almost always decline to represent themselves. They recognize the true value of having an advocate who is more familiar with the local court system to defend their best interests. Many first time offenders are under the mistaken impression that they can take advantage of the services of a “free lawyer” from the Public Defender’s Office. In reality, the services of the Public Defender are restricted to people who have an income that is below the poverty level. In addition, the services of the Public Defender are not “free.” Studies demonstrate that the outcomes in criminal cases handled by court-appointed attorneys can often be inferior to those secured by private counsel. Consider the advantages of a private attorney versus the public defender. The results of your court hearing are something that you will be forced to reflect upon for the rest of your life. Even the decision on whether to plead “guilty” or “no contest” can have far reaching consequences. Appealing an undesired outcome or mistake caused by your inexperience or lack of specialized legal training can be an expensive and time consuming process. Likewise, the results of any appeal may be uncertain at best. For that reason, getting it right the first time is imperative. If you are arrested the decision whether to answer any questions in New York State, is entirely your own. You should give this matter your careful consideration because oral statements, as well as, written statements will be received as evidence in court against you. If you are offered any inducement to sign a document or if you are threatened, coerced, or forced to sign anything, advise your attorney immediately and the senior police official in charge. 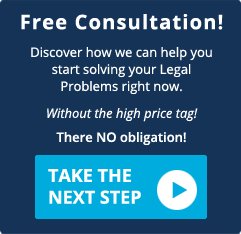 If you do not have an attorney, you may ask to see one immediately. If you are in doubt about whether you should talk with the arresting officer or other law enforcement officers, you should wait until you have spoken with an attorney before giving up your right to remain silent. You are arrested when law enforcement officers take you into custody or otherwise deprive you of your freedom of movement in any significant way, in order to hold you to answer for a criminal offense. Police officers, under New York law, are obligated to identify themselves and to advise you that you are under arrest and why, unless circumstances make it impossible for them to do so at that time. You may, in fact, be under arrest even though no one has actually used the word "arrest" or any other comparable word. The fact that you have been deprived of your freedom of movement in some significant manner may amount legally to an arrest. Ordinarily, private citizens do not have power of arrest in New York but under limited circumstances a private party may make an arrest where an actual commission of a felony is involved. Based upon reasonable suspicion that you may be involved in criminal activity, a police officer may require you to identify yourself and explain your presence at a particular time, without arresting you. Under New York law, the officer may not remove you from the immediate vicinity without making an arrest, unless you voluntarily accompany the officer to some other location. If the officer has reasonable grounds to believe that you are armed, he or she may conduct a limited pat down of your outer garments to detect weapons. If this "frisk" results in reasonable belief on the part of the officer that you are carrying a weapon, the officer may remove the suspicious object for protection. The officers must return to you any unlawful object found unless they places you under arrest. Unless the officer places you under arrest, the frisk or search must be limited to suspected weapons. The officer may ask you some questions in order to complete the field interrogation card. You have a constitutional right to not answer them, or give your name, unless the officer has an articulable suspicion that you are involved in a crime. (an articulable suspicion standard used in criminal procedure is more relaxed than probable cause, that can justify less-intrusive searches. For example, a reasonable suspicion justifies a stop and frisk, but not a full search. A reasonable suspicion exists when a reasonable person under the circumstances, would, based upon specific and articulable facts, suspect that a crime has been committed. At the conclusion of this temporary detention the officer must either arrest you or let you go. If you should enter a retail establishment where goods are placed on display and for sale, the merchant or the employees may detain you on the premises for a reasonable time for questioning if they have probable cause to believe that you have stolen or have attempted to steal goods for sale. Under such circumstances a police officer called to the scene may make an arrest for shoplifting even though the alleged offense was not committed in the officer's presence. A police officer may arrest you at any time if he or she has a warrant for your arrest, or if the officer knows that a warrant for your arrest has been issued. A warrant is an order issued by a court charging that you committed a particular crime and directing the sheriff and all police officers of the state to arrest you and bring you before the court. You may require the officer to read the warrant after you have been arrested. An arrest warrant should not be confused with a search warrant. 2) When the arresting officer has good reason to believe that a felony has been or is being committed and that you are the person who has committed or is committing the felony. 3) When a misdemeanor is committed in the presence of the officer. Under New York law, there are a few specified misdemeanors for which an arrest may be made without a warrant, even when not committed in the presence of the arresting officer. These exceptions to the general rule are shoplifting, carrying a concealed weapon other than a firearm, possession of not more than twenty grams of marijuana and a few others. The officer may employ all reasonable and necessary force to overcome resistance in making a lawful arrest. The legality of the arrest has nothing to do with whether or not you are ultimately convicted. As long as the officer has reasonable grounds for making the arrest at the time for the arrest, you cannot claim later that the arrest was unlawful merely because you were found not guilty. Resisting arrest with violence is a felony under New York law. Resisting arrest without violence or offering to do violence is a misdemeanor. You could be convicted of either of these crimes, even if you were found not guilty of the crime for which you were arrested. Obstructing an officer with violence is also a felony under New York law. Obstructing or interfering with an officer on duty without violence is a misdemeanor. If you believe that your rights are being violated, make it a point to remember exactly what the police officer did and then advise your attorney concerning this at the earliest possible time. While the law of search and seizure is very complex, and often will depend on the facts and circumstances in a particular case, you should not resist a search with force; however, neither should you consent to an improper search. If you do object to a particular search, advise the officer who is conducting it that you do not consent, that you do object to the search and ask the officer to identify himself or herself. In most cases involving search and seizure issues, "reasonableness" of the search is the legal test without a search warrant. If police officers arrive at your premises armed with a search warrant, they may search only that area or portion authorized in the warrant itself. You are entitled to have a copy of the search warrant left with you and served on you if you are present. If you are arrested in your home, the officers may conduct a limited search of the immediate area where you are arrested without a search warrant. They also may check the rest of the house for any hidden accomplices. They may seize any contraband, stolen property, instrumentalities or evidence of a crime that they discover in plain view in any portion of the house where the officers have a right to be. Your automobile may also be impounded and inventoried if there is no qualified licensed driver or towing agent to take charge of it. If an officer is about to impound your car, tell the officer if you have a relative or friend who will come and get it, or that you have a preference of your own station, to tow your car. 1) The officer will take you to a police station. 2) You will be advised generally as to the charges against you. However, these charges may be changed later and stated in more detail by the office of the prosecuting attorney or in some instances by the grand jury. 3) You may be required to participate in a lineup, to prepare a sample of your penmanship, or to speak phrases associated with the crime with which you are charged, to put on certain wearing apparel or to give a sample of your hair. You should ask to have your attorney present during any of these procedures. You have an absolute right to counsel, if you are asked to participate in a lineup after you have been formally charged by the prosecuting attorney or indicted by a grand jury. 4) You also may be required to be fingerprinted and photographed. 5) You will be arraigned at a court session or your attorney will file a written plea on your behalf. An arraignment is no more than a plea of guilty, not guilty, or no contest to the charge. If you plead not guilty, a trial date will be set. If you plead guilty or no contest, a sentencing date will be set, generally after the court has received a pre-sentence investigation report from probation and parole. You have a right to know the identity of the police officers who are dealing with you. This is your right to statute and by custom. 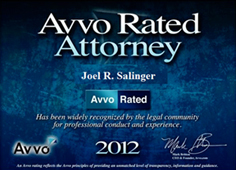 You have the right to be represented by counsel at all critical stages of your case. If you cannot afford an attorney, the court will appoint an attorney to represent you free of charge, if you qualify under existing criteria as an insolvent person. This right pertains to any offense, however, trivial, for which any imprisonment whatsoever might result. Constitutional rights may be waived or given up voluntarily. Before you say or sign anything that might result in waiver of a constitutional right, weigh your decision carefully. 2) If you choose to speak, anything you say can be used against you in court. 3) If you decide to answer any questions, you may stop at any time and all questioning will cease. 4) You have a right to consult with your attorney before answering any questions. You have the right to have your attorney present if you decide to answer any questions, and if you cannot afford an attorney, one will be provided for you or appointed for you by the court without cost to you before any further questions may be asked. You may be released upon personal recognizance (your promise to appear in court when directed), or you may be released on bail, which involves the posting of either cash money or a surety bond as security for your court appearance. Bail bonds from licensed sureties are usually available at a cost of 10 percent of the amount of the bail. If you are taken into custody and booked into the jail and remain there, you must be brought before a magistrate within 24 hours of your arrest. At that appearance, you may request that the magistrate lower your bail in consideration of your ties in the community, financial resources, employment record or any other factors, including your past criminal record and your past history of failure to appear in court when scheduled. Upon arrival at the jail or shortly thereafter, you will be given an opportunity to contact your attorney. The attorney, in turn, may arrange for the posting of a bond and may appear with you in court and ask the court to lower the bail if it is believed to be excessive under the circumstances.